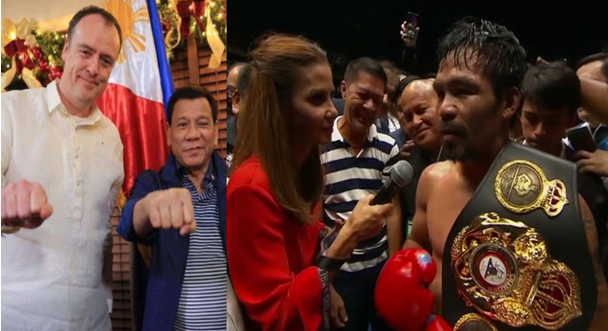 British Filipino-at-heart Malcolm Conlan questions the negativity surrounding the journalist Dyan Castillejo when all she did was her job by interviewing Boxer-Senator Manny “Pacman” Pacquiao who recently won and was flattered by the presence of the President Rodrigo Roa Duterte whom Castillejo “controversially” mentioned. This is what confused Conlan, what is wrong with noticing the presence of the top government official of your country? He made his part clear, nothing was wrong what she did. In a point per point basis, Conlan singled out the facts behind her actions and interview in total that the bashers so conveniently ignore. 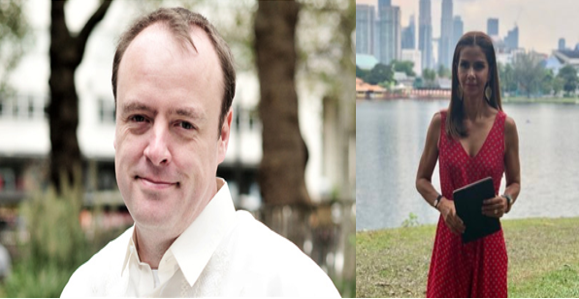 Conlan also pointed out that if you talk to an international audience then a journalist must do it in third person, with comparison to what the British national perceives of Philippines local news which seems to him as a platform that takes sides when the issues being reported is political. With that being said, he kudos’d Castillejo for being completely neutral when recognizing President Duterte with respect as Filipino. Conlan pointed out that all Castillejo did was interview Pacman and acknowledge the President’s presence which her interviewee took with glee. Now to conclude, Conlan again praised the journalist for doing her job well as an international journalist. But it saddens him that the issue became political when it shouldn’t in the first place. It is a boxing match, pure sports and no place for politics even if the Pacman is indeed a senator since he wasn’t fighting the match as a politician, he fought as a boxer. So why taint such a beloved sport all in order to rain negativity on that one person doing a great job. Politics may have sides but in the realm of international sports, we all unite under the flag of our country that our hard-working athletes represent. So damned be those who oppose this sacred unity, may the country shame you for what you’ve done, dividing people at a time of peace. Opposition and all supporters of these self-righteous societal nuisance, we are disgusted in you and how you destroyed the sanctity of boxing and the joy that all Filipinos temporarily had, thanks to you, when Pacquiao knocked out Matthysse.